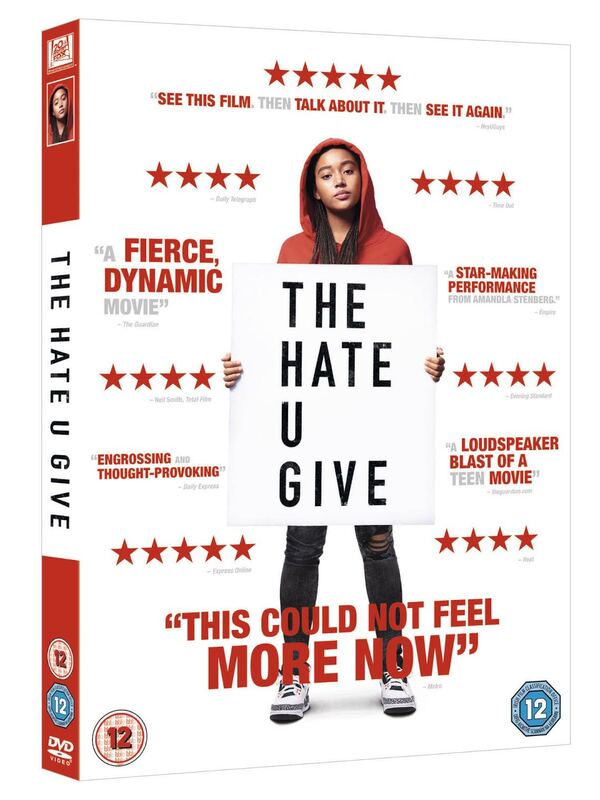 Back in October we posted a review of George Tillman Jr's wonderful movie The Hate U Give which premiered here in the UK at London Film Festival (click here to read) and today we're excited to be giving away one copy of the DVD courtesy of our friends at Organic Publicity! Starr Carter is constantly switching between two worlds: the poor, mostly black, neighbourhood where she lives and the rich, mostly white, prep school she attends. The uneasy balance between these worlds is shattered when Starr witnesses the fatal shooting of her childhood best friend Khalil at the hands of a police officer. Now, facing pressures from all sides of the community, Starr must find her voice and stand up for what's right. The Hate U Give arrives on Digital Download on 14th February and DVD on 18th February. To celebrate, we're giving away a copy on DVD! Which actor plays Starr's boyfriend in The Hate U Give? The winner of this giveaway has now been decided - thank you to everyone who entered! Good luck and a huge thank you to Organic for working with us to give back to you guys!